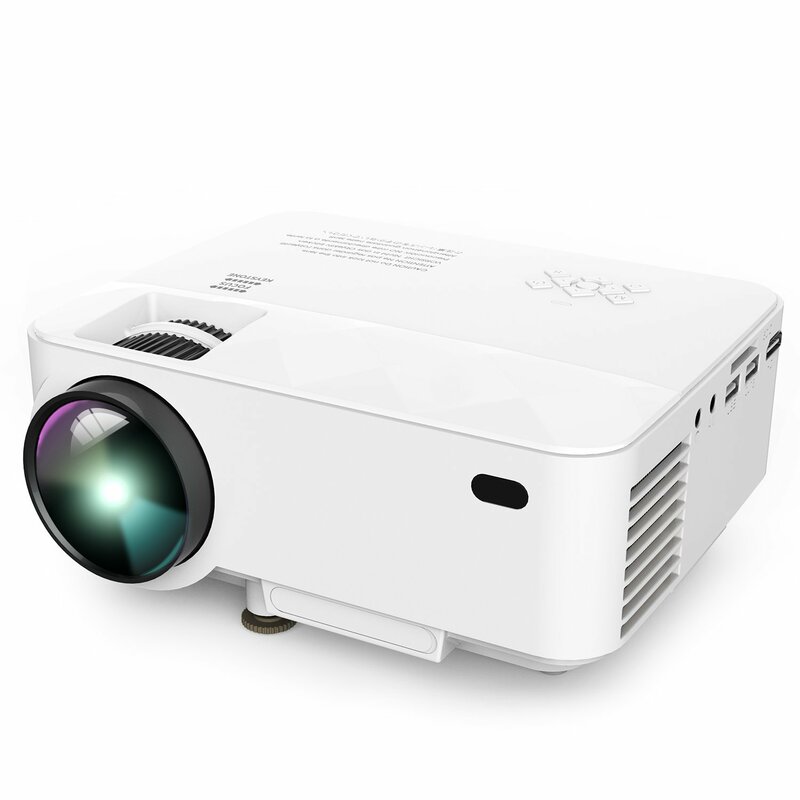 DBPOWER Upgraded LED Projector is claimed as brighter than ordinary LED projectors. This is 1500 lumens LCD mini projector that is perfect for home entertainment in the dark environment. This DBpower projector is not made for PPT or business presentation. This DBPower LED projector allows an easy connection using USB to connect to your smartphone, iPad without using HDMI port or wireless. This latest LED projector is made for convenience and stability. It uses latest fan for minimized noise: it uses an innovative cooling system with heat dispersion and the fan sound cuts in half with noise suppression. DBpower upgraded projector delivers amazing watching experience as it has projector distance of 1.5 meter, image size ranges from 32-inch to 176-inch for the perfect viewing experience.